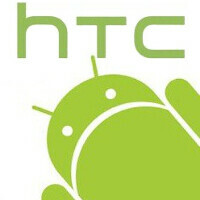 To say that the financial situation of HTC is a bit complicated would be an understatement. For the past few months, we've constantly reported about the constantly tumbling profits, as well as the company's plummeting share price and how this made it worthless to its shareholders. Unfortunately, the streak has not been broken and the woes of the Taiwanese company continue: it just posted a report for Q3 of 2015, which reveals that it's still bleeding red ink left and right. HTC's net loss for the three-month period that began July 1 and ended on September 30 is NT$4.48 billion, or roughly $138 million. This is in stark contrast with the minor profit it made a year ago (NT$0.6 billion, or ~$18.5 million). HTC's revenue has also dropped significantly year-over-year — from NT$41.9 billion (~$1.29 billion) to NT$21.4 billion (~$658 million). There's a silver lining, though - HTC's share price actually went up since the Q3 2015 financial report popped up and stands at $65.80 at the time of writing. This is way above the 10-year anti-record that was achieved on August 24, when HTC's shares sold for $40.35. As a result, HTC is about to undertake an internal restructuring and, unfortunately for its employees, a round of job cuts. Let's hope that these will help the once-major manufacturer to step back on its feet. I genuinely read that as "HTC's financial loss for Q3 '15 is here"
HTC IMO hasn't made a good phone since the original Evo which is the name they should have used for their branding, or at least kept with Sprint, and they should have kept the Droid branding with Verizon. Also the original Driod Incredible was a beast too. After those phones HTC phones to me were just boring. Samsung and LG are simply going to be the 2 driving OEM's for Android and everyone else is gonna get scraps. HTC lost its way in 2011-12 and never fully recovered. While Samsung was conquering the landscape with the unified Galaxy S3 juggernaut, HTC was offering a dozen different flagships (including the Incredible and EVO lines you mention) with no unified vision. The One series was a good idea that unfortunately came two years too late. I say this as a former HTC owner and fan: Sorry to see you go, but you dug your own grave. I guess putting out the same phone for the last 3 years with mediocre camera didn't work well for them. WHO would have ever thought that.. Not to mention overpriced mid range HTC phones. HTC is not, never was, and never will be Apple. Samsung should buy HTC and use them to make budget phones and Samsung just make the Galaxy phones. Why Samsung though? And now that Samsung has discovered design and materials, what do they need HTC for? Samsung has always been able to make budget phones. They should merge with cross-town rival Asus and make a true Taiwanese challenger to Samsung's dominance. Samsung doesn't need them and if they were to buy someone for budget phones, BLU or some China company would be a much better investment for that. One X was the beginng of their downfall although it was a good phone except battery. It had a decent camera and the best screen at that time. The problem was their marketing which could not compete against Samsung and other OEMs. I guess HTC deserves it. I am one of those few fools who bought the Desire 826 based on its good hardware and price range (INR 26,000). I just wanted a bang for my buck & figured to buy a so called PREMIUM phone at a budget friendly price. Just after 1 month of use my display gave away & my phone had to be replaced (which took around 4 weeks!! !.....f**kall service by HTC). Now again the replaced phone's display is malfunctioning.....it works perfectly sometimes and just goes crazy on its own. I am definitely NOT buying HTC ever again!! They really did history with HTC one (M7). They set a trend for uni body aluminium(see iphone 5 and 6) but they can't find their way lately. And this weaker competition is affecting everyone of us, android or ios users. Yes, but they take good things from the competition. The edges of the screen from iphone 6 is from samsung s3. The aluminium uni body. The speed. The richness of the features. The screen size. The camera senzor size. Competition is good for everyone of us. I am glad that HTC is going down. Some people need to learn their lesson the hard way. Camera, bezels, stupid black bar with the logo, glossy plastics and high prices. How hard is that to fix seroiusly . Camera: 1,5 Billions $ and approx 3 years - read about LG efforts for fixing their cameras. bezels: only valid argument. Not easy but certainly doable. stupid black bar with the logo, glossy plastics: Easy but unimportant really (for vast majority) high prices: Not valid anymore. Not because HTC finally priced their phones sane, but because it CAN NOT - bank credits for sinking ship are very, very expensive and they need money for daily operations. Maybe Samsung could by HTC for their Sence skin. It's considered superior to Touchwiz. I liked sense on the M8 but everyone has caught up pretty much. And they could use stock Android for free. I still wouldn't advise anyone to buy one. HTC may not even be here in a year to issue software updates.